In addition to a highly skilled health care team, Phoenix Heart Center features advanced cardiac intervention technologies and techniques. By combining innovative technology with years of clinical and teaching expertise, the cardiologists at Phoenix Heart Center are able to effectively treat acute and chronic heart health problems. Interventional cardiology is a branch of cardiology that relies on catheter-based techniques for treating structural heart diseases and diseases of the surrounding blood vessels. Many patients and physicians favor interventional treatment options – as opposed to open surgery – when possible because of the lower rate of complications, blood loss, etc. Learn more below about the interventional cardiology services offered through Phoenix Heart Center in Mesa, Tempe, and Phoenix. In this procedure, an aneurysm (ballooning or bulging) of the aorta in the abdominal region is repaired. AAA exclusion is an endovascular procedure, performed via catheter. Typically, AAA exclusion involves careful placement of a stent graft, which relieves pressure on the bulging section of the aorta. IHSS, also known as hypertrophic cardiomyopathy (HCM), is a condition in which the heart muscle cells enlarge, resulting in a thickening of the walls of the left ventricle. Hypertrophic cardiomyopathy is a common cause of sudden cardiac arrest. By injecting pure alcohol into a precisely targeted region of the heart, cardiologists can help treat the symptoms of HCM. Alcohol infusion – also known as alcohol septal ablation – may be used as an alternative to heart surgery. An aneurysm can form in any of the body’s arteries, not just the aorta (see above). At Phoenix Heart Center, cardiologists treat aneurysms of the coronary and peripheral arteries using endovascular, catheter-based techniques similar to those described above. Angioplasty is a catheter-based procedure that restores blood flow through vessels that have narrowed due to plaque buildup. During an angioplasty, a small balloon is inflated within the artery, forcing plaque against the arterial wall, creating a wider passage for blood flow. At Phoenix Heart Center, many angioplasty procedures – including coronary angioplasty – can be performed via a catheter inserted into the radial artery on the wrist. This innovative placement technique is a huge improvement for physicians and patients (when compared to the traditional groin approach). The aortic valve allows blood to pass from the heart’s left ventricle into the aorta, which transports blood to the rest of the body. Over time, the aortic valve can become stiff with calcium buildup. When this happens, a cardiologist may recommend an aortic valvuloplasty to restore the size of the aortic valve, improving blood flow. Valvuloplasty is performed using a small balloon on the tip of a catheter. The procedure is performed through the patient’s blood vessels, and requires no incisions. Atrial septal defect (ASD), ventricular septal defect (VSD), and patent foramen ovale (PFO) are three distinct congenital heart defects. In patients with these defects, blood passes between the left and right sides of the heart, allowing oxygen-rich and oxygen-depleted blood to mix. As a result, the heart functions less efficiently than it should. Cardiologists at Phoenix Heart Center are able to close these holes in the heart using a catheter-based approach. During the procedure, the physician guides a catheter through the blood vessels to the heart. Once in place, the physician inserts a closure device through the catheter into the heart. The device plugs the hole, promoting healthy heart function. This is a standard interventional cardiology procedure that opens narrowed heart valves. Valvuloplasty is performed via a catheter that is traditionally inserted into the femoral artery (in the groin region). At Phoenix Heart Center, physicians have created Arizona’s first cardiology program that uses the radial artery on the wrist (as opposed to the femoral artery) in all cases unless there is a contradiction. This approach results in less blood loss, a quicker recovery time, and eliminates the need for an overnight hospital stay. Cardiologists at Phoenix Heart Center offer a variety of cardiac device management services. Monitoring and maintaining heart devices is a critical aspect of any heart patient’s overall health care. Device management services may be available for implantable loop recorders (ILRs), permanent and temporary pacemakers, implantable cardioverter defibrillators (ICDs), and other devices. Learn more about some device implantation services here. The carotid arteries transport blood through the neck to the brain. If there is plaque buildup in the carotid arteries, then a cardiologist may recommend an interventional stenting procedure. Because of the perioperative stroke risk associated with these procedures, cardiologists at Phoenix Heart Center use an embolic protection system during carotid stenting. The protection system features a small filter in the artery, which catches any plaque that may break loose during the stenting. This filter significantly reduces the risk of embolism and stroke. Some patients who have had a stent placed inside an artery (see below) may experience restenosis – or, the “re-narrowing” of the vessel. When this occurs, an interventional cardiologist may recommend brachytherapy. Brachytherapy uses radiation to kill cells and prevent further cell growth. When administered in small, targeted doses, brachytherapy is an effective treatment for restenosis. 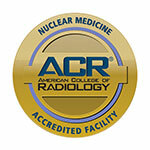 This radiation can be administered from within the heart or blood vessel by a catheter. An intravascular stent is a small metal mesh tube that is inserted via catheter into a narrowed blood vessel. The stent can be placed by a catheter to restore blood flow to the affected blood vessel. This technique, which relies on high-intensity laser beams, is used by cardiologists to destroy plaque within the arterial walls. It is a highly effective, minimally invasive method for treating atherosclerosis. The mitral valve is one of the heart’s four valves. In some patients, the mitral valve may become narrowed. Mitral valvuloplasty, a percutaneous catheter treatment (similar to aortic valvuloplasty, described above), uses a small balloon to restore proper shape and size to the mitral valve. The above information is not a comprehensive list of interventional services offered at Phoenix Heart Center. Contact us for more information about interventions or to schedule an appointment with a cardiologist in Phoenix, Mesa, or Tempe.